A key component of the UK's first high-energy proton beam machine has been delivered to its new home in Newport. PPI said the UK's "most-advanced piece of cancer machinery" could transform treatment for 500 patients a year. 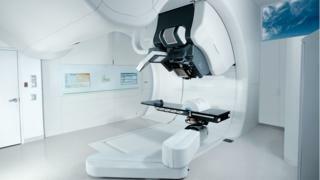 The Welsh Government said proton beam therapy will be available at the centre to NHS Wales patients with certain cancers "within the next year". PPI chief executive Mike Moran said it was the "most strategic health project in this country in decades". 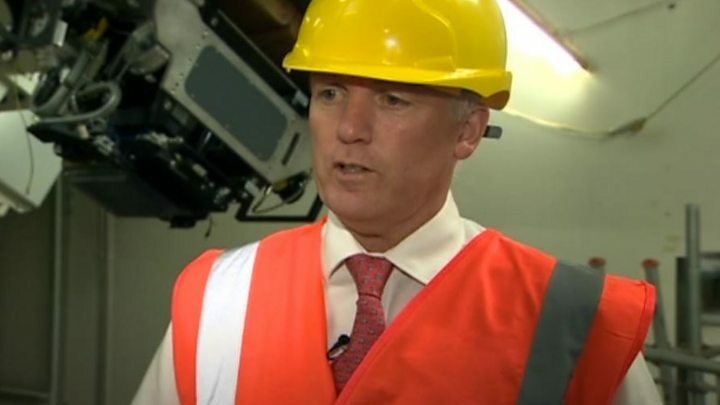 "It's significant for the people of Wales to have high-energy proton beam therapy available," he added. Media captionAnimated graphic comparing traditional radiation treatment with proton beam therapy. He said the treatment would "certainly improve" clinical outcomes and the experience for patients, who up to now have had to spend up to six weeks abroad to get proton beam therapy. This is certainly a coup for those trying to make Wales a hub for health innovation and research. But it is unclear how many of the 500 patients a year expected to be treated at the privately run centre will be from the Welsh NHS. That is because the NHS in England is currently building two similar proton beam centres "in-house". Located at established hospitals (in London and Manchester), some argue they'd be better placed to provide more comprehensive, "wrap-around" care than would be possible at a stand-alone centre. Discussions between the company, the Welsh Government and Welsh NHS I'm told are well advanced but whatever the outcome of those, as the first centre of its type in the UK, this is certainly a significant development. About 140 patients a year are sent abroad from across the NHS - mostly to the US and Switzerland - at a cost of around £114,000 each. PPI is building three more proton beam centres in the UK - in Northumberland, Reading and Liverpool. The firm has received £10m from the Welsh Government's Wales Life Sciences Investment Fund.